The Hideout Theatre is committed to growing The Building Connections program by offering programming to a wide range of youth and adults, including: neurodivergent students, at-risk youth, homeless youth and adults, youth and adults with trauma histories/attachment challenges, and youth and adults with mental health issues. Having adapted programming allows the Hideout to customize class settings and instruction to specific groups, which maximizes accessibility, fun, and therapeutic benefit for all involved. The Hideout Theatre celebrates neurodiversity, and solely uses “special needs” as a “catch-all” way to cue parents and caregivers to offerings outside of our traditional classes. We’re delighted you’re here with us! Building Connections from The Hideout Theatre on Vimeo. The Building Connections program at the Hideout Theatre is the best of its kind in the nation, maybe the world. It combines a high quality curriculum with skilled and dedicated instructors who collaborate with a level of professionalism that most schools and universities would envy. Improv classes are an excellent forum for youth and adults to gain confidence, build social skills, practice life skills, and have fun. For Building Connections students, improv provides a wonderful opportunity for personal growth in a safe environment. Parents have reported that their children have gained a wide variety of benefits from taking classes, including expressive language gains, increased confidence, improved social skills, a decrease in negative behaviors, and an increase in self-expression. Adult students have reported similar benefits. 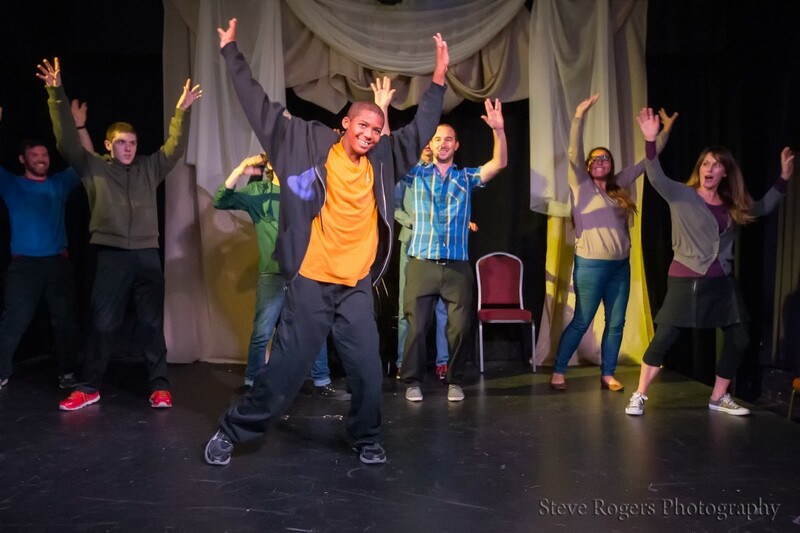 While improv has significant therapeutic applications, most importantly, these classes provide students with an opportunity to excel, have fun, and express themselves. For more information, please see class descriptions and contact information below. In our ASD improv classes, students enjoy a very low student/teacher ratio. Students can also choose to perform in our showcase at the end of the session! These classes will take place in a safe and fun setting where students can explore and challenge themselves. A very low teacher/student ratio will ensure that each student gets the attention they need. These classes will be tailored to youth and young adults with Asperger’s (or compatible diagnoses), and will focus on having fun, improving social skills, increasing self-awareness, increasing self-expression, and gaining confidence. If you/your child has a diagnosis similar to Asperger’s, or a compatible developmental disorder, please contact us so that we can assess whether this class would be a good fit for you/your child! Saturdays from 10-11:30AM, January 26 – May 4. Classes meet weekly, skipping March 16 and 23. Class showcase will take place during class time on April 27. Classes will take place at the Hideout Theatre downtown, downstairs theatre. Saturdays from 12-1:30PM, January 26 – May 4. Saturdays from 2-3:30PM, January 26 – May 4. Saturdays from 4-5:30PM, January 26 – May 4. Saturdays from 2-3:30PM, September 16th – December 16th. This is a great opportunity to come try out improv classes! This class will take place on Saturday, 10-11:30AM on November 10th at the Hideout Theatre downtown. This class will be tailored to youth with Asperger’s. Any students with compatible needs are welcome, regardless of diagnosis! Register online! $15. A limited number of scholarships are available. Please contact Lacy Alana (lacy@hideouttheatre.com) for more information. The Hideout Theatre provides improv classes to at-risk youth in residential and community settings. Weekly classes are currently taking place in a downtown family shelter, and a residential treatment center for foster youth. Programming will continue to expand to include residential treatment facilities and youth shelters throughout Austin. If you are interested in the Hideout providing classes to your facility or group, please contact Lacy Alana (lacy@hideouttheatre.com). The Hideout Theatre is able to provide workshops to special needs youth and adults including those with mental health challenges, Autism Spectrum Disorders, intellectual disabilities, and at-risk youth. To inquire further about this or to get a quote, please contact Lacy Alana (lacy@hideouttheatre.com). The Building Connections Program at the Hideout Theatre is dedicated to continued growth, affordability, and being able to provide scholarships to students who would not otherwise be able to afford classes. We welcome all levels of financial support. Every dollar received will go towards expanding the Special Needs programming and helping kids take specialized improv classes they would not otherwise have access to. To donate, please click the button below. You can specify your donation amount on the Paypal page. Lacy Alana, LCSW is the Building Connections Program Director at the Hideout Theatre. 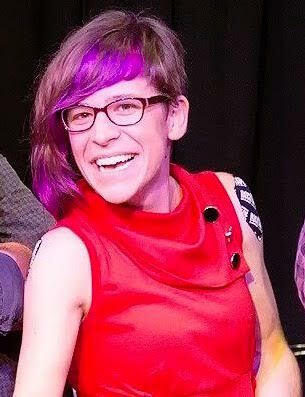 In addition to being an improv performer and instructor, she is a Licensed Clinical Social Worker and has focused her career on working with at-risk youth and youth and adults on the spectrum. She is excited to further combine her passion for improv with her professional experience and expertise. You can contact Lacy by email: lacy@hideouttheatre.com.